There, that should be enough as a spoiler warning, right? Carrie Sullivan, thank you for helping me be very good this year for the RSC. 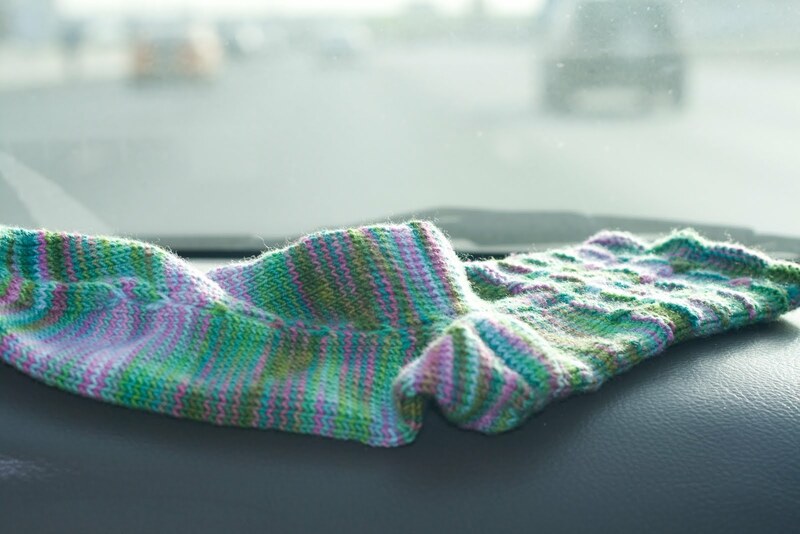 Two of the fastest pairs of socks I ever knitted are both your designs; Cotty and this below. When I got the club shipment I fell in love with the colours rightaway which is unusual since I am leaning more towards semi-solids lately. And then I saw the patterns. 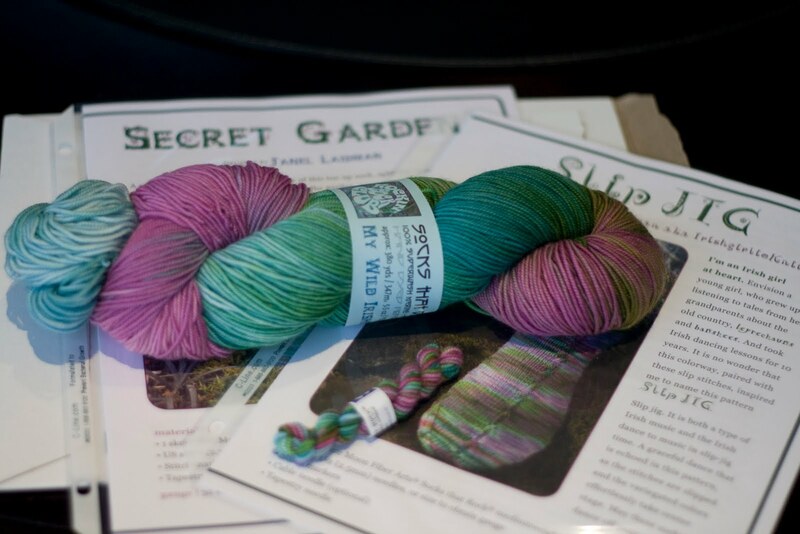 Secret Garden is beautiful but Slip Jig caught my fancy. I did not waste time winding the skein and casting on rightaway. I used my Signature DPNs at first but I switched to my preferred magic loop not long after this photo was taken. The first sock didn’t take long to finish. It was fun so I cast on for the second sock as soon as I could. 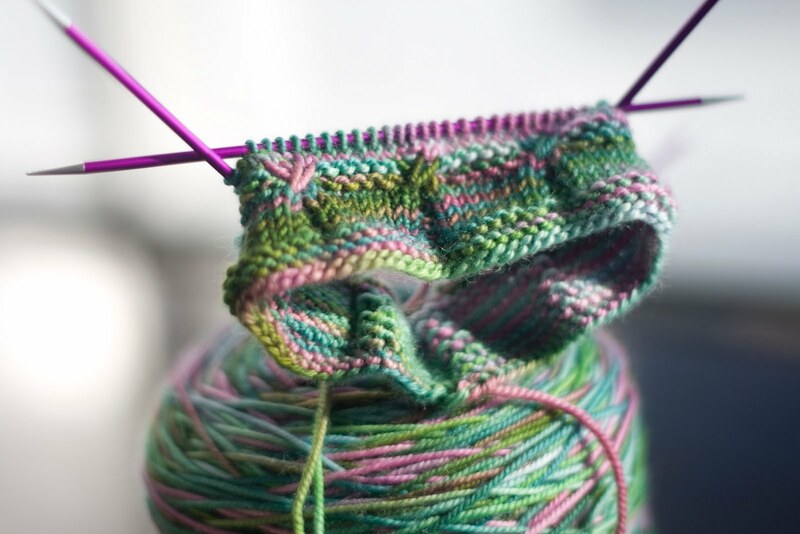 I especially love the twist cables running down the centre and sides of the foot. 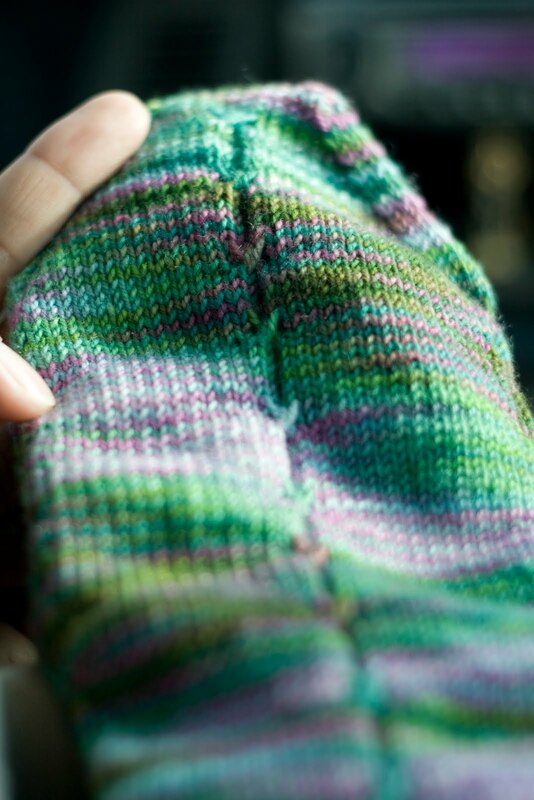 The cuff is just as pretty too with that band of twist cables and rows of purl bumps. I’m not so crazy about the colour pooling but this is better than most so I’m okay. There is nothing that I do not like about this pair of socks. In fact, I love it so much that I plan to knit it again, and also use the slip stitch pattern to knit another type of garment. Love this pair and the twisted cables are so perfect. I've been trying to knit twisted cables on the bottom hem of a sweater and I love how the twisted stitches make them pop. Very pretty colorway.